Matt Hunt, a writer for ProteinPromo. There are a vast number of reasons as to why any of us train. I know that for most of us, we train to see changes in our body. We work towards increasing our muscle mass, reducing our fat mass, and essentially working towards a lean, muscular, and well developed physique. Some of us work towards improved athletic performance. Irrespective of our sport (whether it be crossfit, weightlifting, hockey, or football, it doesn’t really matter), we know that working hard in the weight room can result in some seriously improved performance. And for some of us, we just want to get strong. We may not have the intention to train for a powerlifting meet, or compete competitively, but we enjoy both the stress of training, and the vast and significant improvements we see in ourselves in response to that stress. Each of these training related goals are deserving of both the hard work we put towards them, and the time we dedicate to our training. And while they may appear noticeably different on the outside, they all share some very tight similarities. They require hard work and dedication, they require smart training intervention, and they also require the development of both strength and power. Strength and power are seriously important qualities that underpin all aspects of physical performance, and our capacity to build muscle tissue. From an athletic performance perspective, the stronger we are the greater our absolute work capacity is, and the more potential power development we have available. In turn, power greatly dictates our ability to perform athletic movements, in which the more powerful we are, the higher we can jump, the faster we can run, and the more rapidly we can change direction. From a strength performance perspective, obviously getting stronger is essential to shifting big weights. Interestingly, improving our muscular power greatly improves our ability to move explosively. 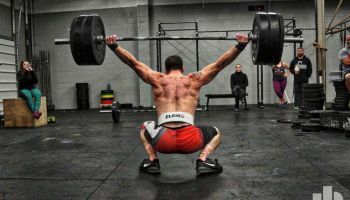 This can greatly improve our ability to express strength, as we can move larger weights faster. And finally, from a muscular development perspective, if we are stronger and more powerful we can lift more weight each and every rep. This greatly increases both the mechanical and metabolic stress placed on our muscle tissue, which can contribute to both improved muscle growth and increased fat loss – ultimately leading to some seriously improved physique changes. While the importance muscular power and strength cannot be denied, the way in which we development is often debated at length. In this article we will outline the key aspects of each strength and power development, and in turn, how we can develop them optimally. Strength essentially describes the maximum amount of force we can produce. To put it simply, the stronger we are, the more absolute force we can produce – and ultimately the more physical weight we can shift. To maximise the development of muscular strength, we need to improve the body’s ability to produce force. This can be done through two ways. Firstly, we can improve the amount of muscle mass the body has by creating muscle hypertrophy (AKA the growth of muscle tissue) through specific training interventions. Muscle force production is strongly related to the amount of muscle tissue the body has (also known as ‘muscle cross sectional are, or CSA). Therefore, it stands to reason that be increasing the amount of muscle mass our body has, we can increase its potential to produce force. This can be accomplished by using more traditional loading methods targeted at creating metabolic damage and muscle growth. This would be your more common loading paradigms such as 3 sets of 10 repetitions, or 4 sets of 8 repetitions. Secondly, we want to improve the neural systems ability to recruit our muscle fibres as means to produce force. The more efficient our nervous system is at recruiting muscle fibres, the more force we can produce. Improving neural efficiency requires heavy loading and the mechanical stress associated. By increasing the absolute amounts of load we are training with, we place a vastly increased demand on the neural system – which further improves both its efficiency and its force producing capacity. This is done by using heavy loading while training at a high intensity. This would be your more strength based loading paradigms such as 5 sets of 5 repetitions, or 6 sets of 3 repetitions – each of which would be performed using a load above 85% of your one repetition maximum (also known as 1RM) to maximise muscle fibre recruitment and therefore create neural adaptations. So if we think of strength as our maximal force producing capacity, then power is effectively our ability to produce that force rapidly. This essentially explains why it is so important to have a strong foundation of strength before we start training for power – if we don’t have the ability to produce force in the first place then there is no way that we can produce it rapidly. With this in mind, it is important to note that power production is therefore improved through the use of light loads combined with compound movements performed explosively. This may mean box jumps, jump squats, power cleans, and power snatches, and speed deadlifts (just to name a few…), in which we use loads below 50% of our 1RM to improve the capacity of the nervous system to produce force rapidly. Combined with these more traditional means of power development, we can also use plyometric exercises such as bounds and jumps to improve the capacity of our muscle and tendons to store and release elastic energy (also known as the ‘stretch shortening cycle’, or SSC). When training for power it is essential that we prioritise our explosive movements so they are performed at the start of the session while we are completely fresh – when it comes to power development it is quality over quantity, and as fatigue will mask our ability to produce power, it will also limit our ability to improve power. When training for power it is imperative that we use low rep training schemes to limit the accumulation of muscular fatigue. This may mean sets of 4 repetitions, or 5 sets of 3 repetitions, in which we use a low load and each movement is performed as explosively as humanly possible. In this example we transition from power based movements using bodyweight up to light load accordingly as not to cause any fatigue that may limit our development. From there we move into our core strength exercise, in which we use heavy loading and low reps to stimulate further neural adaptions. And finally, we finish with some pure muscle hypertrophy loading paradigms to stimulate some metabolic damage and muscle growth. While this example will not suit everyone, it does provide a thorough example of how we can optimise the development of both muscle strength and power in the same session. Both strength and power are integral to our training success – irrespective of either our desired training goal or chosen sport. As such, it is integral that we prioritise them accordingly. In this, it is important we place a premium on the development of both power and strength simultaneously, in which they are both developed in a manner that is complimentary to one another. The example training session provides a fantastic demonstration of how we can train for both muscle power and muscle strength in the same session, in which both are targeted using optimal loading methods.